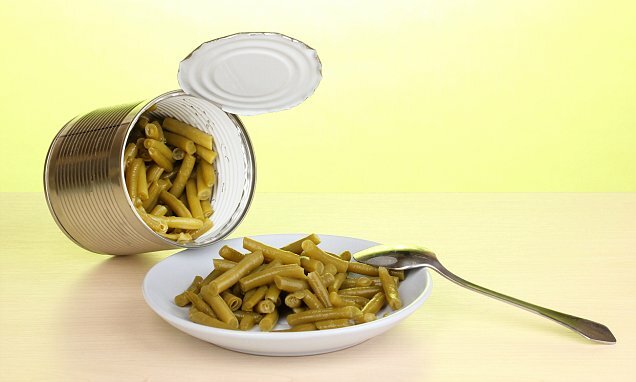 A married couple were left paralysed and spent five months in intensive care after eating green beans from a can. The husband and wife, from Germany, caught botulism - one of the most powerful toxins known to science - from the 'poisoned beans'. However, their son escaped his parents' horrific ordeal after he refused to eat the green beans because they smelt 'off'. Doctors near Leipzig - 118 miles (160km) south of Berlin - went public with the case to raise awareness of the rare toxin. The tale was reported in the Journal of Medical Case Reports. It revealed just 10 cases of botulism are recorded in Germany each year. The same lethal neurotoxin is used in cosmetic Botox injections - but in much smaller doses to paralyse muscles in the face. The 47-year-old woman suffered dizziness, double vision, drooping eyelids and struggled to speak when she went to hospital. CT and MRI scans found nothing and in the meantime the anonymous woman's neurological symptoms worsened. She was no longer able to open her eyes and she was paralysed from the neck down. Doctors at Universitätsklinikum Halle hooked her up to a life-support machine after her lungs began to fail.